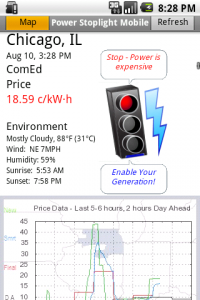 Browse: Home / Power Stoplight for Android now available! 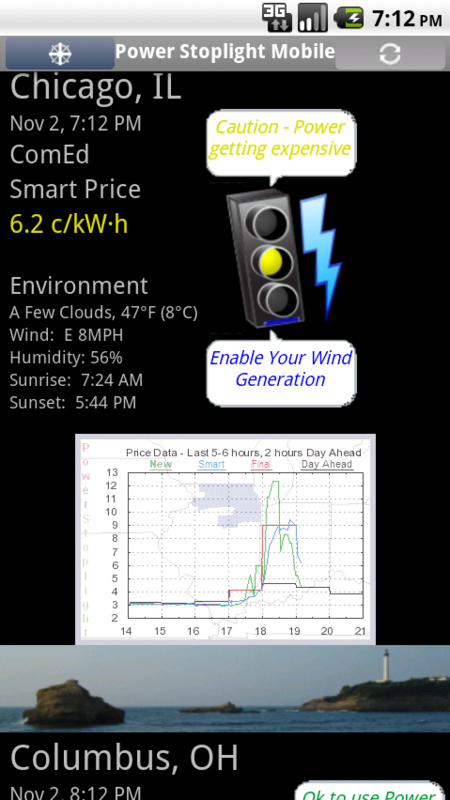 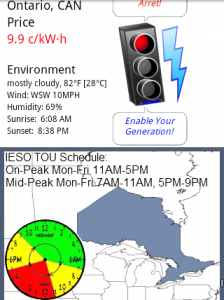 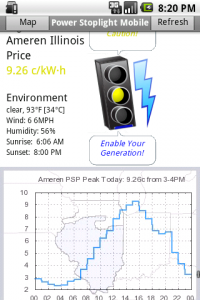 Power Stoplight Mobile for Android is now available on Android Market for free! 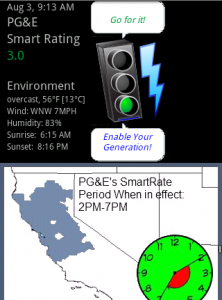 Power Stoplight can help you save far more than that, both economically and environmentally! 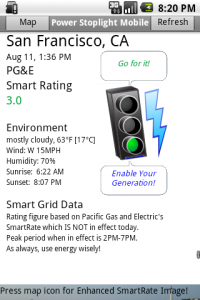 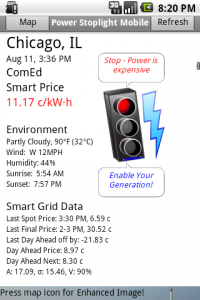 This Location and Grid-Aware app can reduce both your monthly electricity bills and your carbon emissions by telling you when is a good time for usage and generation of electricity!